Product prices and availability are accurate as of 2018-06-04 22:37:55 BST and are subject to change. Any price and availability information displayed on http://www.amazon.co.uk/ at the time of purchase will apply to the purchase of this product. 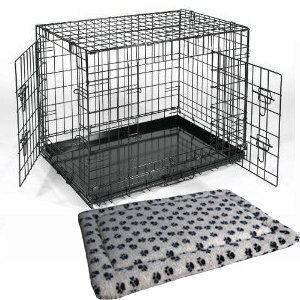 Metal dog cage. Ideal for carrying your pet in the car or as an everyday bed. With inlay bedding included. 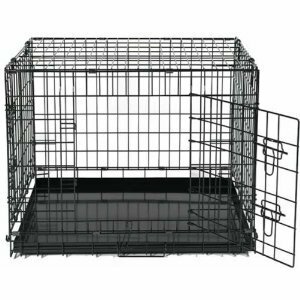 This a Black Medium 30" size cage which measures . 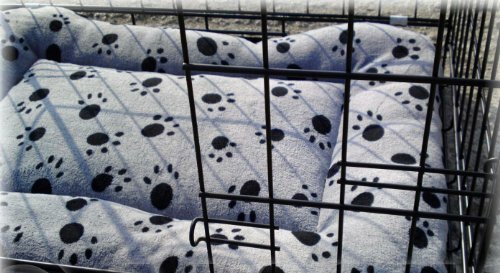 Bedding custom fitted for inside cage. 3 Doors, One on the side, One on the front. 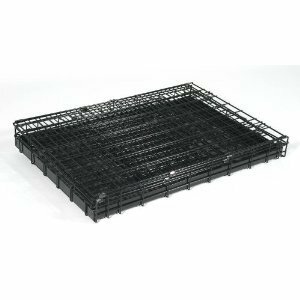 Both with double locking bolts Carry handles on the top edge to making moving your pet a lot easier Integrated metal tray removable for easy cleaning - cage a tray pet safe, epoxy coated plus Thick, Comfy, & Well Padded Fleece Mattress.